Pirate Mickey | Flickr - Photo Sharing! It's amazing how many costume changes Mickey, Minnie and Goofy went through over the course of a 4 day cruise! (Winner of the Disney Photo Challenge "I'm My Own Biggest Critic" challenge). PeterPanFan, Disney Dan, and 6 other people added this photo to their favorites. Congratulations, You're a Disney Photo Challenge Winner! That's so cute!!!! I love the costume! Great photo I love how the colours in his coat tie in with the carpet and the flowers. The composition's really cool. Great shot. 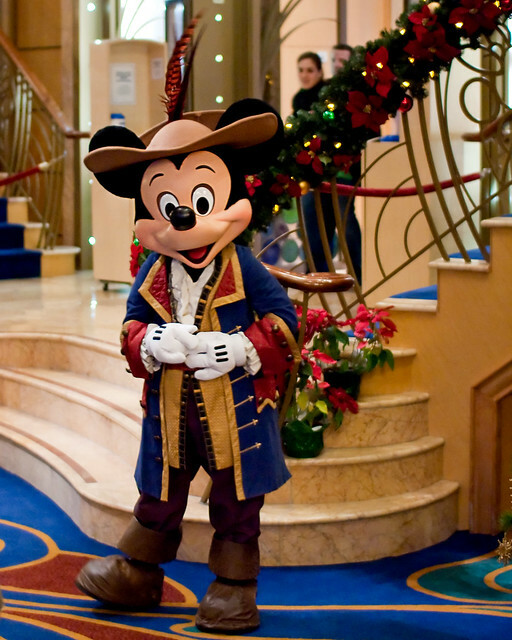 - I suspect Mickey only wears that outfit on the cruises. Given how many costume changes he went through on our 4 day cruise, I can't imagine how many more they have for a 7 day!